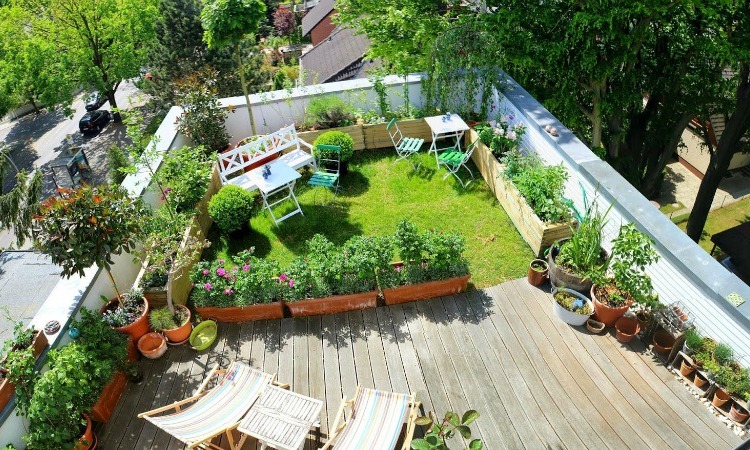 With summer poking its little head through the clouds, everyone's been looking forward to spending time in their gardens, out at the park or travelling abroad to soak up the sun's rays. Having lived in flats since finishing uni, neither I nor Kirsty have had our own gardens but that doesn't stop us from wanting one - a large garden with perfect green grass, a patio, flower beds and a lovely rattan sofa set to sit on and have a barbecue in the summer, perfection. When Kirsty and I were little, we used to sit down with an IKEA catalogue, a pencil and a notebook each. We would allocated ourselves a room and a budget and compete to design the best room for the money, choosing things from the essentials to the luxury and the nice-to-haves... miniature interior designers in the making right?! My in-laws bought an incredible rattan set a few years ago which got me dreaming of what my future garden could look like. Theirs consists of a corner modular sofa with a dinner height table and some stools. Many a summer we have sat out under the gazebo I helped build and relaxed in the British sun (if it ever appears) with a bbq on the go. So, in the usual blogger fashion, we've created our Summer Garden Inspo Wishlist, full of stunning, simple, stylish garden furniture and accessories that are definitely on our must-have lists for when we finally have our own gardens! First up, of course, is the main feature of any garden... the garden furniture. I've been seeing Fishpools absolutely everywhere round where I live since thinking about this post, call it a sign, call it what you want, but their furniture is gorgeous! 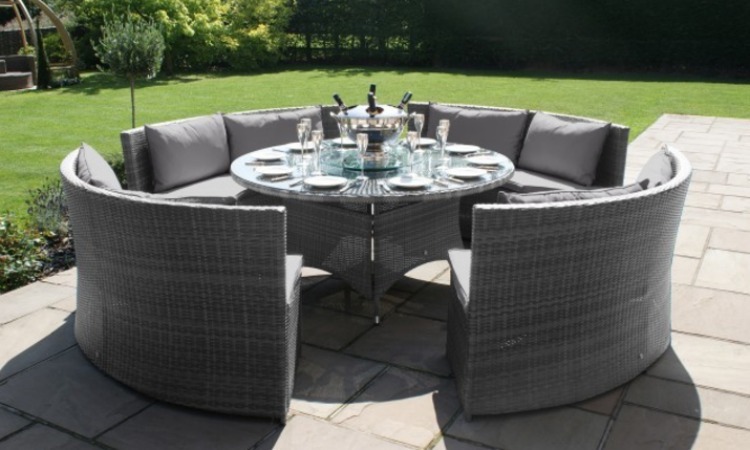 Their Barbuda grey rattan is my absolute favourite. It just looks so classy and would be the perfect addition to a summer barbecue with some friends. Seating up to 12 people, it really would be quite the party! Second on the list has to be a water feature. Every time I go into Homebase, I walk past the water feature section and often just stand there for a bit. The sound of running water, the smell of the rocks, it's all so peaceful. 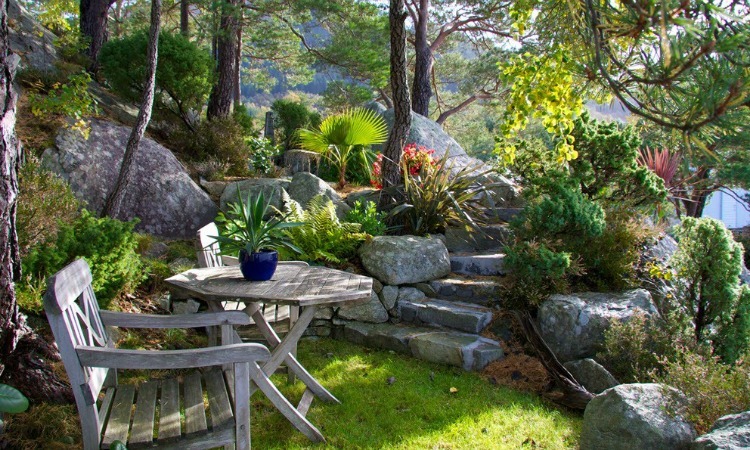 I'd love to have a place in my garden where I can sit and chill and unwind after a stressful day. Placed perfectly next to a lily pond, I would sit there for hours on end. Their Fountains Forest Falls feature is one of my favourites, obviously quite out of my price range but this is a wishlist after all! IKEA is my second home. I often go there just to look around, and end up spending £100+ on things I don't need. There's tonnes of low cost, simple items that have basically filled my entire home - my living room could be one of their showrooms! The Ammero gazebo would fit perfectly with the rattan set and would just be stunning in the summer. Complete with the Solvinden mini lantern lights to help the stars twinkle at night, I'd spend all night out there if I could. The final item on my wishlist is a gas-fuelled barbecue. 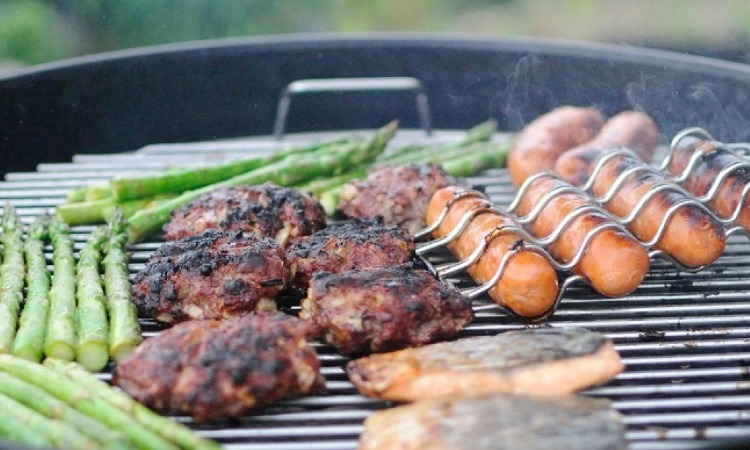 This one from Tesco is perfect for all the meats and sides! I can see myself now... sitting, sipping a glass of Pimms while my other half tends to the bbq.. well, it would likely be the other way around - I'm a bit of a pyromaniac! There's a certain sense of accomplishment when you manage to successfully start up a coal bbq, but ain't no body got time for that. I am literally dreaming of the day that I own my own home so that I can start buying garden furniture and spend summer sunbathing and chilling in the garden. At the moment, I've got to invite myself round to my in-laws and take over theirs or stick my head out of the window of my ground floor north facing flat. Here's praying that I can get my mortgage soon! What would be in your dream garden?